This bundle includes 2 of the SP 20 D And a cable to connect them with. 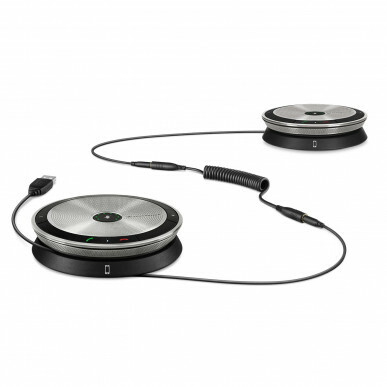 The standard SP 20 will not connect with a cable, this is the special version of the SP 20 designed to plug into another unit for larger meetings. 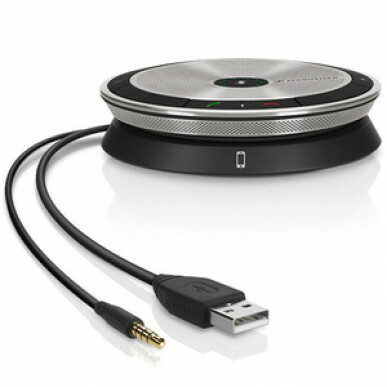 A flexible solution for 2 small meetings via laptop or mobile or 1 large meeting via laptop / PC only - (USB connection). Simple plug and play for mobile phone and PC / laptop when used alone. No Bluetooth pairing or range hassles. Plug em together and into a laptop and you're ready to call. Easy peasy! 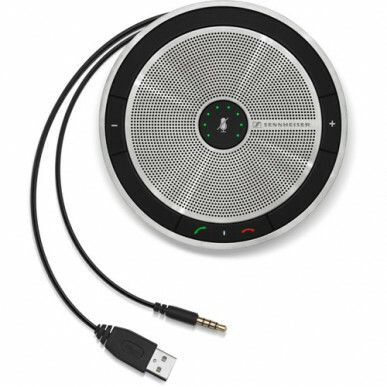 Sennheiser SP 20 is a compact, portable speakerphone designed for Unified Communications business professionals to make personal and small group conferences on PC/softphone. Created for business professionals who need flexible conferencing solutions and who demand exceptional design, excellent conference sound and user-friendly functionality. 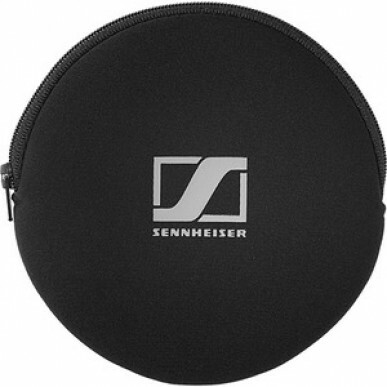 With Sennheiser sound quality, voice clarity and a dedicated music function, the Sennheiser SP 20 represents Sennheiser’s sound heritage and design at its best and makes a bold statement of style and quality on any desk.